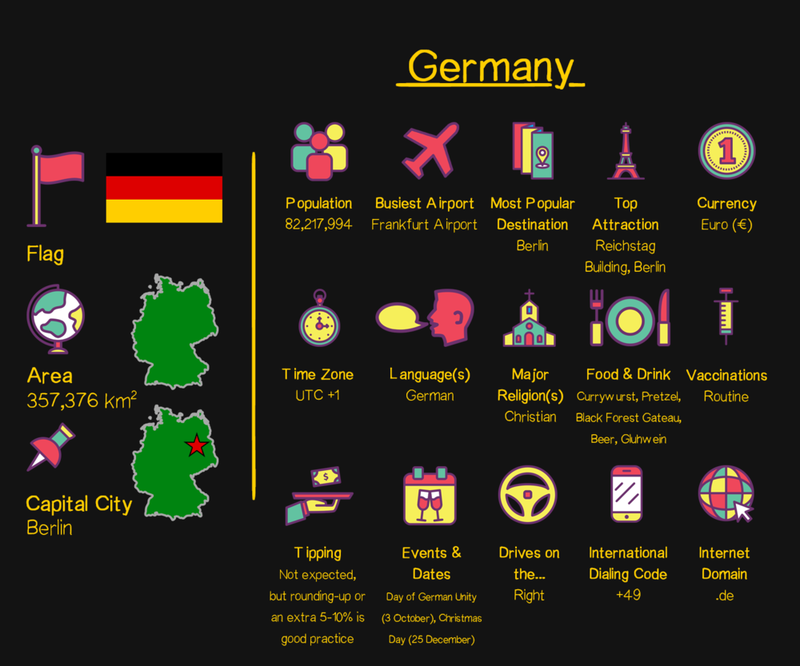 From Berlin to Hamberg and Nuremberg to Munich, find out the information you need for your trip to Germany. Get the lowdown on what to see, do, eat and drink in the beautiful Bavarian city of Nuremberg! I recently visited Nuremberg - a great destination for a weekend break from the UK thanks to cheap flights and convenient flight times. If putting your foot in it was an Olympic event, then this travel tale from Germany would fare pretty well. Berlin: A great city with plenty to do. We've now arrived in Berlin, and I'm excited! Germany is a country in central Europe, is the most populous nation of the European Union and, after the United States of America, is the second most-popular immigration destination in the world. Achieving national unity before many other European nations, Germany quickly became an economic and military power before defeats in two World Wars left it shattered, facing a difficult legacy of Nazism while being divided between Europe’s Cold War blocs. The country rebounded, rising from the ashes to become an economic and industrial giant and unite as one once more. Today Germany stands as an exciting mix of big, bustling cities, soul-stirring scenery and marvellous modernity with a prodigious past providing an idea destination. Is tap water safe to drink in Germany? Prison escape is not punishable by law in Germany, as it maintains that being free is a basic human instinct and, therefore, prisoners have the right to escape. Escape attempts rarely go unpunished, however, because prisoners are held liable if they cause damage to property or inflict bodily harm against any individual. The Autobahn, a federal controlled access highway system in Germany, has stretches of road with no speed limit! Due to a trade embargo that prevented importing Coca-Cola syrup into Germany during World War II, the head of the drinks giant in the country decided to create a domestic product for the market and, thus, Fanta was born. Only three other nations border more countries than Germany – China, Russia and Brazil. Germany shares a border with Denmark, The Netherlands, Belgium, Luxembourg, France, Switzerland, Austria, Czech Republic and Poland. Germany was the first country to adopt Daylight Saving Time (DST), moving clocks forward by an hour in 1916 at the height of World War I.